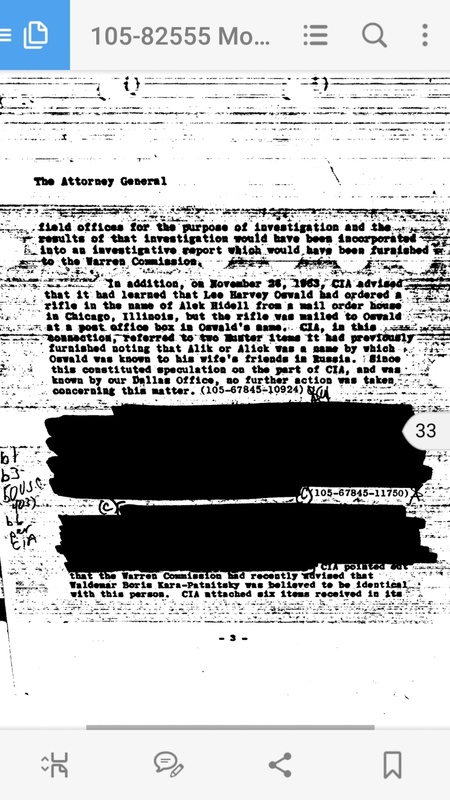 Yes Steve it is FBI- Director JEH /Attorney General memo, about letters NOT shared with the Warren Commission. 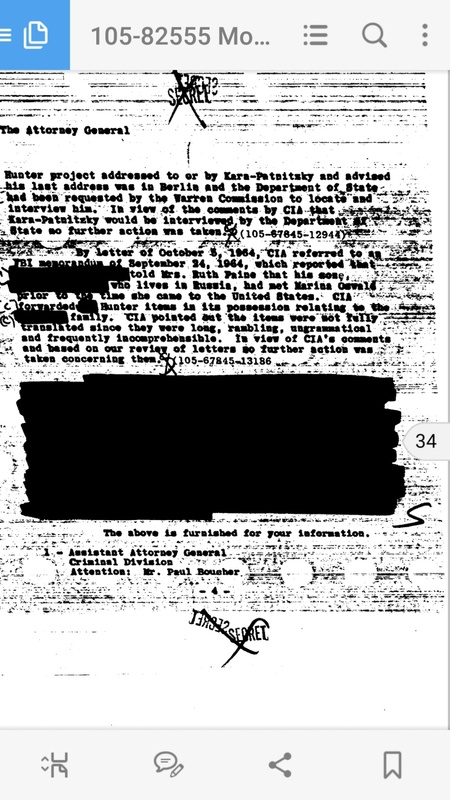 PS Steve, does this say that the CIA intercepted 3 letters as a matter of course through a "master project" or "hunter project" ? Thanks. I was interested in the Texas Import-Export reference. 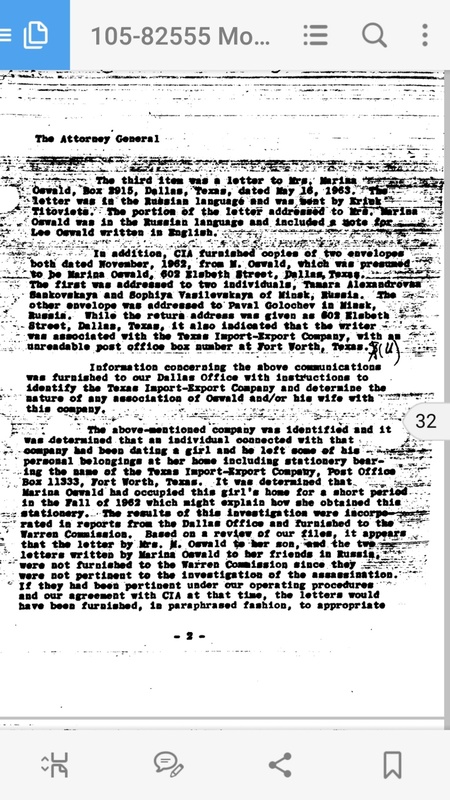 Kleinlerer opened up PO Box 11333 in the name of Texas-Import Export Company to receive catalogs of comptetitors of Lomo (sic) Industries. This seems a little lame to me. I'd like to run down who incorporated that company and when. I don't know if it's "master" or "hunter". I blew it up and its still so smeared, you can't read it. 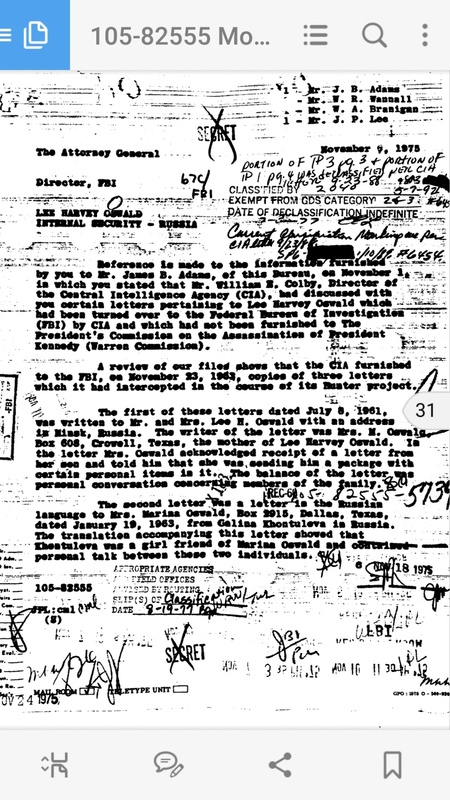 That was the reference, the FBI and CIA avoided sharing the actual letter on the Texas Import Export Co. stationary.